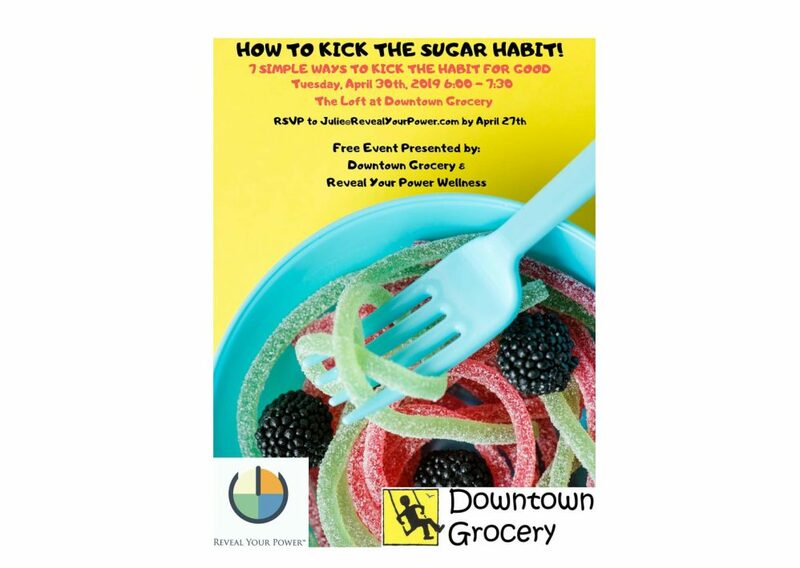 Free Event: Join us for a LOFTY TALK on Tuesday, April 30, 2019, @ 6:00 PM TO 7:30 pm in the Upstairs Loft at Downtown Grocery for a free talk on Seven Simple Ways to Kick the Sugar Habit for Good. Please RSVP Julie from Reveal Your Power Wellness at this email: julie@revealyourpower.com by April 27 to indicate that you’re planning to attend. It’s a Free Event.